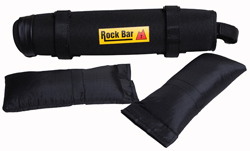 The Rock Bar is the ideal storage case for carrying extra gear and supplies in a slim-line design. Its low profile shape allows the case to be attached to multiple locations on the bike. Use one or more cases as the Rock Bar can be attached to the down tube, the top tube, the handle bars, and even onto forks with brake bosses or screw mounts. 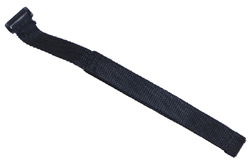 For the serious athlete, the Rock Bar is also available with removable weight pouches. The cyclist can add up to 7 pounds of extra weight per case to help build strength.